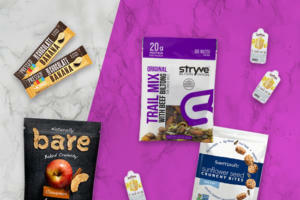 The New Year is finally upon us and, boy, do we have a tasty recipe to keep your healthy-eating goals on track! 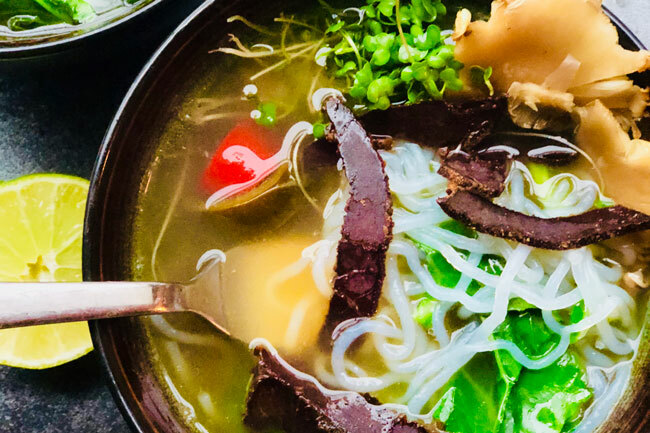 Sydney McIntosh of @gettingtesty has crafted a delicious Spicy Peri Peri biltong-topped pho that will warm your belly and soul—plus, this soup is low carb, keto, and paleo friendly!! New Year’s resolutions for the win! Heat broth ingredients and simmer while you rinse noodles and prep ingredients. Add collard greens and Spicy Peri Peri biltong to broth for a few minutes until softened. 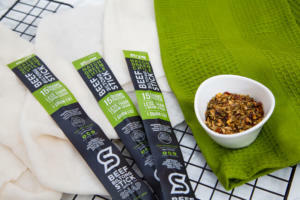 The sliced, all-natural beef biltong adds spice and a richer flavor to the broth. Fill bowls with noodles and pour broth/collard greens/biltong over noodles. 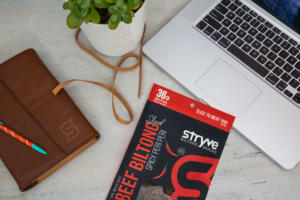 Add your favorite toppings and reserved sliced Spicy Peri Peri biltong. Finish with a squeeze of lime! This recipe is also great for camping! Prep noodles and toppings in mason jars ahead of time. Heat the broth over your campfire, then pour into mason jars. Let soup sit for a few minutes and enjoy!